Many fundraisers have a problem with age. But the problem might be different than you think. The average age of donors on nonprofits’ files is often 60-70 years old. The reaction to these circumstances is frequently a concerted effort to attract millennials. While every generation can be important, particularly to large nonprofits, much of the emphasis on young donors is misplaced. Research clearly shows that people are far more likely to become loyal donors once they’re in better financial circumstances, which tends to occur when people are in their 50s and 60s. Further, adults are living far longer. US Government data indicates that the average life expectancy for a 65-year-old is 19.3 years — and increasing. Therefore, the issue of an older donor file is not as critical as it was decades ago. Lastly, focusing on attracting young donors can take attention away from a more urgent problem: donor retention. And it’s unfortunate that the best practices of retention marketing are not being applied by many nonprofits. 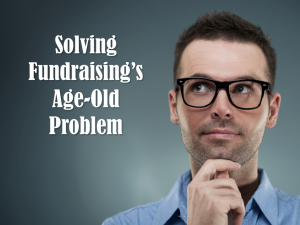 So what’s the answer to fundraising’s age-old question? Find a better balance between your effort and outcome when you consider your fundraising targeting and activities. Mark Schulhof is Chief Executive Officer of Innovairre Communications, which supports more than 500 nonprofit organizations around the world. Contact us at Answers@Innovairre.com, and follow us on LinkedIn and Twitter.